The Dark Knight Returns Part 2. Check out this trailer for the upcoming continuation to the animated DC comics feature The Dark Knight Returns. The first installment is in stores now. This second installment features more of Batman and several other well-known characters in a world that places Batman (after a 10year absence) against foes and friends alike. It is set to release on Blu-ray and DVD next year. Broken City. Mark Wahlberg, Russell Crowe and Catherine Zeta-Jones star in this thriller in which an ex-cop works with the Mayor of New York City and comes to realize that the mayor may have less the honorable motives and means as a large scandal begin to unravel and reveal themselves. Look for Broken City to break out in your city on January 18, 2013. Hitchcock. The Master of Suspense has a movie made about him now! Anthony Hopkins stars as Alfred Hitchcock in a movie about the making of, perhaps, his most famous film, Psycho. Starring Hopkins alongside Helen Mirren, Scarlett Johansson, Jessica Biel and more, Hitchcock is undoubtedly hoping to thrill the Academy as Oscar season approaches. Watch the great time-period placed trailer for this film that has a limited November 23 release date. Django Unchained (Trailer#2). This new trailer for Quentin Tarantino upcoming star-studded film showcases even more of the stars such as Samuel L. Jackson, Leonardo DiCaprio, and even Jonah Hill. Christoph Waltz and Jamie Foxx team up as bounty hunting partners in a pre-abolitionist South and freedom and fighting ensue all along the way. Look for Django (the “D” is silent) on Christmas Day. Dino Time. This animated film tells the story of kids who travel back approximately 65 million years and have an unexpected adventure with the dinosaurs. Nothing extra special here, but I’m sure it’s something that someone’s kids will want to see. Rob Schneider and Melanie Griffith are a couple of the stars who lend their voices to this animated movie. It releases on December 7, 2012. 007 50th Anniversary: Look at Skyfall and more. Given that this month is BOND month, I thought I’d share this nice look back at 50 years of Bond! What do you think? Nice to get a little bit more insight into this upcoming movie. I’m sure it’s aiming for the Twilight fan base as that series comes to an end on the big screen this November. 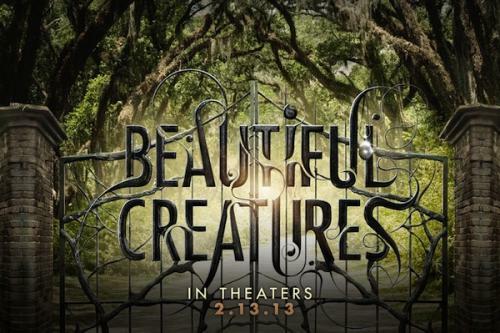 Look for Beautiful Creatures to hit theaters on February 13, 2013. My favorite trailers from today: Hitchcock, Django Unchained, and The Dark Knight Returns, part 2. Which ones are your favorites?? Limited Release: Smashed, Atlas Shrugged pt II, Nobody Walks and more. How does Hitchcock not look fun to you? Hitchcock looks good, though I think I’ll wait to watch it until after I’ve seen Psycho. Broken City looks fairly run-of-the-mill; probably decent, but probably nothing special. One of those “when it’s available” viewings. Django Unchained still looks like typical Tarantino fun. I think you have Dino Time pegged pretty well; kids will like it, pretty much anybody else need not apply.